Floyd has been honored by National Association of REALTORS® and REALTOR Magazine® as one of the Top 25 Most Influential People in Real Estate. Inman News named him as one of the top coaches in North America. Floyd is proud to turn the leadership of the Floyd Wickman Team over to Mike Pallin who has for decades proven to be all that he could hope for in a successor. Mike Pallin has been a student, a soldier, a singer-songwriter, a salesperson, a sales trainer, recruiter, creative director and is now President of the Floyd Wickman Team. Floyd selected Mike as the first trainer to teach the famous Floyd Wickman Course (Sweathogs). He was among the first group of Floyd Wickman Trainers to earn the Master Trainer designation. He then became Creative Director, and together Mike and Floyd have created training programs with more than a quarter of a million successful graduates: including Sweathogs For Life, Head Hogs, Rapid Fire Recruiting, Selling Skills, Master SalesTrack, Master Sales Academy, Alumni Club, the Floyd Wickman School of Speaking and Training, the all new Floyd Wickman (S.M.A.R.T.) Program and the Master Sales Society R Squared program. Currently Mike runs The Floyd Wickman Team as President, he teaches the Floyd Wickman Program, recruits and develops the trainers, runs the annual Master Sales Society events, and directs the R-Squared program. He lives in Stillwater, Minnesota, enjoys golf, walking and music. He and his sons, Derek and Tim, perform in a Beatles tribute band that has won international competitions. Master Trainer, Platinum Circle Member, 11x “Trainer of the Year” Award Winner. Everything changed when I met Floyd Wickman in 1981. I went from a non-producing agent to a production leader. I learned to control my time, my relationships, and my life. I became successful. After nine years in the trenches of real estate, I joined Floyd Wickman’s team to “give back” what I was so grateful to have received. Since then, I’ve trained over 15,000 students, many of whom were “stuck” or failing when we met – and my greatest satisfaction has been to watch them hit their goals. Today, many are top producers or managers in real estate. Many are better parents, better spouses, and happier people because I was able to bring the Wickman philosophies into their lives. I am blessed to have a career built upon “making a difference” and I cannot imagine another way to have impacted so many people and families. Every classroom day, I get hugs and love for “making them” do what they have to do to get business. My clients invite me back over and over – because of the changes in their agents, and the profit they reap from increased production. I’ve done 13, 14, and 15 programs for some of my largest clients over the years. This program doesn’t COST money, it MAKES money – for the agents, for the Clients. I always deliver what I promise. The “new” program is tighter and smarter than the “old Sweathogs” program ever was. We help our agents build listing inventory. We teach them how to think the way successful people think – and the results go way beyond just six weeks. We change lives, and there is no greater job in the world than being a Floyd Wickman Team trainer. Anna Johnson joined The Floyd Wickman Team in July, 2017 as a graduate of Loyola University Chicago's Quinlan School of Business. With a B.B.A. in Marketing, she brings a strong Marketing and Analytical background from both her coursework and multiple internships during her undergraduate career. She has expanded The Floyd Wickman Team's online presence and is the creative voice behind our social media, email marketing, newsletters, and website. Currently residing in Bozeman, MT, Anna enjoys being outdoors, staying active, traveling, and writing. Master Trainer, Platinum Circle Member, 9x “Trainer of the Year” Award Winner. As a long-term Master Trainer, Sheldon Spiegel exemplifies professionalism. After 20 years in the communication and broadcast industries, Sheldon joined the ranks of professional sales speaker in 1989 and has since spoken to more than 2,500 audiences and trained more than 12,000 sales professionals throughout the years. With a passion for excellence, a direct, no-nonsense delivery style and a commitment to clients, Sheldon has made his mark on thousands of lives and careers. Why are you in Real Estate? What do you believe? I believe Real Estate is about Real People and Real Lives. I believe Real Estate is a noble profession. Realtors and Brokers help families & individuals reach their personal goals. Getting a house or selling a house changes lives, everyday. This impacts our communities and our world, for the better. It is valuable work. It is gratifying work. It can even be lucrative work. Do you agree? So why do so many Agents start with great dreams yet fail, or worse, settle for years of mediocrity? Others seem to work their business well, yet lose themselves along the way. Our business is complex, yet there are proven systems to increase success – not just financially but for whole life balance. This is why I am passionate about training Agents and supporting Real Estate Companies from the inside out. You’ve got important work to do and we can make it easier! I've been selling Real Estate for over 18 years, I’ve also held positions in coaching and management. So much of my professional and personal success is built upon the strong foundation I learned as a student in Floyd Wickman classes. I am committed to helping others grow! Let’s strengthen your foundation. Working together, I promise you will: Get Answers to Problems. Work Proven, Results-generating Action Plans. Serve Your Clients Well. Protect Your Time. Make Money. And Live Well! PS – If you want to know anything else about me, just ask. Here’s a quick snap shot of me outside of work: I live in Milwaukee, WI with my husband Nick and our Westie Dog, Connor. I am grateful for my family and my dear friends. I love to explore life – through travel, conversation, crafts and food. Could you benefit by increasing your production and learning how to balance your life and career? I would love to show you how. Let’s talk today! Brian Sharkey knows how to motivate people to achieve their personal goals. His passion for helping Realtors achieve success comes from his own life experiences. As a Floyd Wickman Program Graduate, he took 11 listings in just 6 weeks. (The other students called him the general because he had a star for each listing around the collar of his shirt!). Brian is a student of discipline. After graduating from Southern Connecticut State University with a Bachelor of Science of Human Performance, he developed a 12 week training program measuring personal success using system accountability and tracking progress. A member of the Connecticut Army National Guard for 8 years, he was awarded “Soldier Of The Year” at Fort Jackson, South Carolina. He is proud to share the story about how he won this honor. After successfully selling real estate for 10 years, he became a Floyd Wickman Trainer, helping others to reach their goals and achieving greatness at selling real estate. His real strength lies in his ability to communicate the Wickman method of selling with passion, humility, and a true desire to help others become successful. I was given a special gift. Being introduced to Floyd Wickman’s training program changed my life. You see, Floyd showed me the way to prosper in any real estate market. He taught me that being a real estate professional is not about luck but about learning certain skill sets, “selling secrets”. No agent should ever be a victim, in any real estate market. Market conditions are just that, conditions. You can always learn how to work through the market conditions. The skill sets that Floyd shared with me work today no matter the market – because people are people – and that never changes. 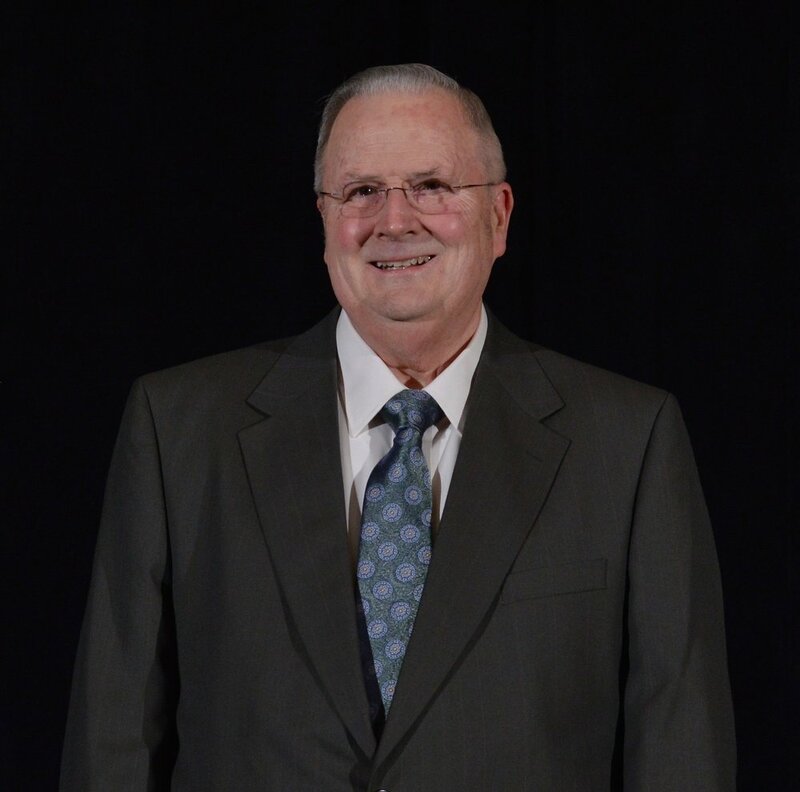 The secrets given to me by Floyd Wickman have helped me to both “survive” and “thrive” in many different real estate markets. My real estate career has been filled with success. I’ve sold lots of houses. I’ve gotten the designations and been a “learner” all along the way. Success has also allowed me to “give back” - so I’ve been active in my Board of Realtors and for years I’ve taught both pre-licensing and continuing education. But there’s nothing as much fun as teaching people how to sell. Once they learn how to sell, you can see how it changes their lives. I love watching them sculpt a life to be lived with joy and prosperity. That was why I became a Floyd Wickman Trainer. I am a family man – and spend my free time with those I love. I’m happy and healthy and have my family’s support. It is such a privilege to pass along Floyd’s skill sets. Let me show you how to change your life – to sculpt it in the way you want your life to be like. And it will happen in any market, in just 42 days. Contact me today. Doug Thompson become a Realtor in 1987 and after taking his first Sweathogs program quickly became a rising star. He was able to personally average 100 transactions a year for 10 consecutive years as well as become a broker/owner of his own office. Doris Parreno has been a student, a top realtor, a salesperson, a sales trainer (trained by best in industry), and is now a trainer with The Floyd Wickman Team. Since 2000, Doris figured training is a must to succed in the real estate industry. She aligned herself with the best the industry had to offer and didn’t quite find the right fit until she discovered The Floyd Wickman Program, The Core Values and The Culture. She decided to give back to an industry that offered so much to her and chose to align herself with The Floyd Wickman Team. Currently Doris teaches The Floyd Wickman Program in Ontario, Canada. She lives in Toronto, Canada and enjoys personal development, balance in life, fitness, health, giving back and spirituality.